Lesley J. Turner, Assistant Professor of Economics at the University of Maryland, Faculty Research Fellow of the National Bureau of Economic Research, and Faculty Associate of the Maryland Population Research Center, received her PhD from Columbia University in 2012. Her research applies theory and methods from labor and public economics to topics in the economics of education and broadly considers the role government should play in providing and financing education. Her work on K-12 education policy has examined the impact of school accountability measures on student achievement, whether incentive pay for teachers increases student achievement and teacher effort, and the impact of school and classroom gender composition on student achievement. 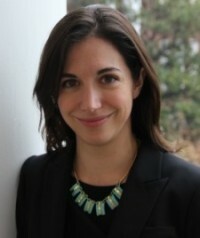 In work on higher education, Dr. Turner has studied how postsecondary institutions strategically respond to need-based student aid in order to estimate the economic incidence of the Pell Grant Program, the impact of Pell Grant aid on educational attainment and borrowing, and how price shocks affect undocumented students’ educational attainment. Dr. Turner received her BA from the University of Michigan in 2004 and her MPP from the Gerald R. Ford School of Public Policy at the University of Michigan in 2005. She was awarded the Upjohn Institute Dissertation award for the best PhD dissertation in labor economics in 2012. The current structure of the tax and transfer system in the United States makes it particularly challenging for low-income married couples with children to work their way into the middle class. Specifically, the tax and transfer system has an inherent secondary-earner penalty that discourages work efforts and reduces the return to work for a second earner within a married couple. When children are present, a spouse’s work efforts often brings associated child-care costs, making the return to work even lower. In this new discussion paper the Dr. Turner and her co-author, Dr. Melissa Kearney, suggest that under the current federal tax and transfer system, and assuming standard child-care costs, a family headed by a primary earner making $25,000 a year will take home less than 30 percent of a spouse’s earnings. They propose a secondary-earner deduction for low- to moderate-income families that would increase disposable income for affected families. To register for the lunch with Lesley Turner on Thursday, July 16th, 2015, please go to The National Economists Club and use the code “AFFILIATED”.